Your one-stop-shop for weekly letter themes! Click on a picture to be directed to the crafty person who's brilliant idea it was. 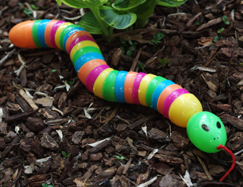 If you have extra plastic Easter Eggs lying around you could make this fun and colorful snake. Original source not found, but it looks pretty easy to make. You could also use beads, straws, or bottle caps to get a similar effect. Kids would love it! 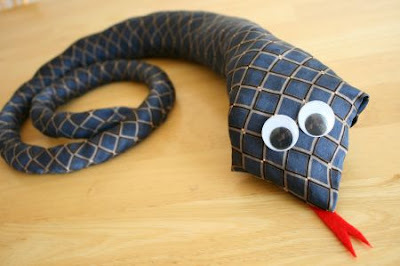 Look at this cute snake made out of an old tie! You could use one that dad doesn't wear anymore or one from the thrift store. Via Make and Takes. 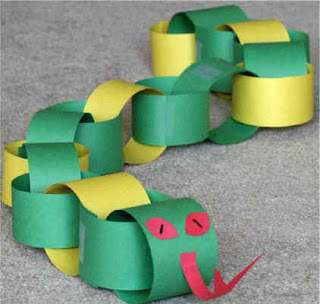 Paper chain snake via DLTK kids. Yum! A snake made out of strawberries and bananas with chocolate eyes! Via Seven Alive. 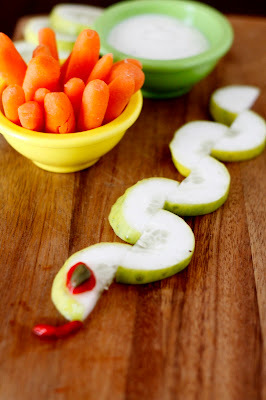 Or you could go the veggie route and make a snake out of cucumbers. Via The Family Kitchen. 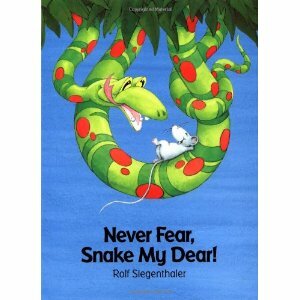 Oh, I wish I was a silly, slippery snake. This Sunset Pirate Ship craft looks much more complicated than it is. I think its fabulous! 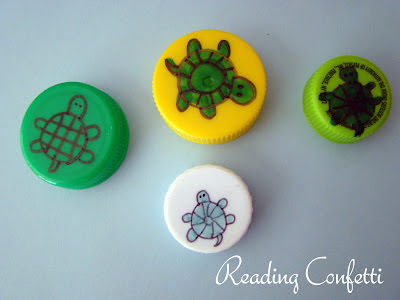 Via Busy Bee Kids Crafts. 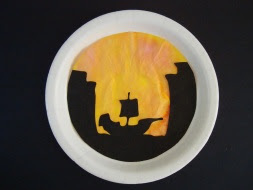 How cute is this paper plate pirate craft? Too cute. Via I heart Crafty things. What kid wouldn't love this? Ahoy Matey! Via Inna's Creations. Aye! Treasure! That's how it all began. The pirates needed a place to bury their treasure and noticed Jeremy Jacob expertly building a sandcastle. 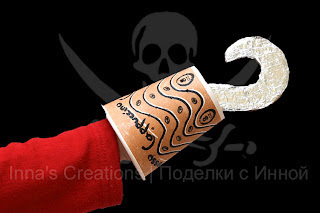 After that, everything was pirate, Pirate, PIRATE! He ate, drank, slept, and breathed pirate. He learned everything pirates do-- and loved every moment of it. Well, almost every moment. 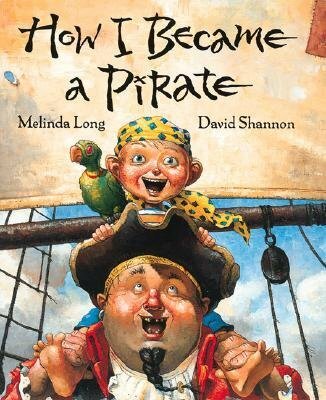 You're invited on the adventure of a lifetime with Jeremy Jacob, Braid Beard, and the rest of the pirate crew as they go through the ups and downs of pirate life. Doubles are good for lots of things—double scoops of ice cream, double features at the movies. But double vision is NOT a good kind of double. In fact, it can make kindergarten kind of hard. Ginny sees double chairs at reading circle and double words in her books. She knows that only half of what she sees is real, but which half? The solution to her problem is wondrously simple: an eye patch! 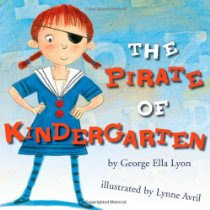 Ginny becomes the pirate of kindergarten.With the help of her pirate patch, Ginny can read, run, and even snip her scissors with double the speed! 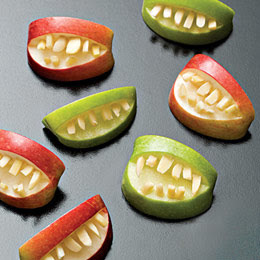 Check out this crafty and clever snack! Via Make and Takes. A different spin on the pirate ship. 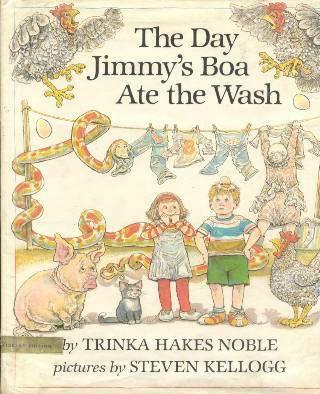 Via Special Pre K.
Was a terrible fearsome ocean thief. Click here to play The Backyardigans Pirate Adventure! 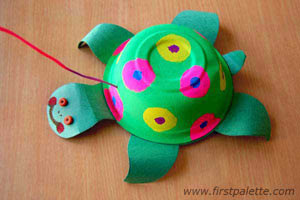 I like how they used tissue paper squares to decorate the turtle shell. Via Because I Said So. How fun would it be to take your turtle for a walk?! Via First Palette. 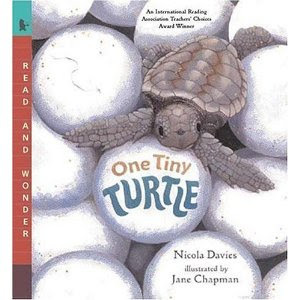 "One Tiny Turtle" by Nicola Davies: Far, far out at sea lives one of the world's most mysterious creatures, the loggerhead turtle. For thirty years she swims the oceans, wandering thousands of miles as she searches for food. Then, one summer night, she lands on a beach to lay her eggs — the very same beach where she herself was born. Nicola Davies's lyrical text offers fascinating information about the journey of the tiny, endangered loggerhead, while charming paintings by Jane Chapman vividly illustrate one turtle's odyssey. 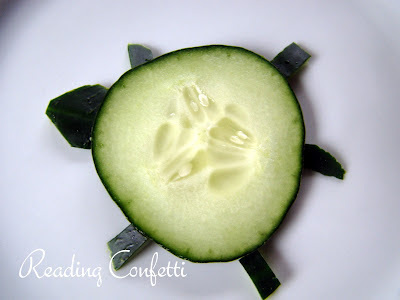 Dip some cucumber turtles in Ranch dressing and you have a tasty little snack. Via Reading Confetti. Grapes and a granny smith apple... delicious and nutritious! Via Canadian Family. 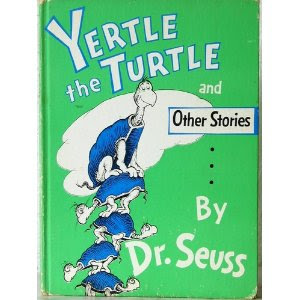 Click here for lots of turtle poems and songs. *To watch a contemporary adaptation of "The Tortoise and the Hare"
by Tom Clinch go here and click on the tortoise. Click here to play a fun game called, "The Turtle Bridge". Hello! Where do I sign up for the turtle races? What fun! Via Reading Confetti. Kids LOVE to do apple stamping! I've done a lot of it with preschool kids in the past, but I think it's so cute how Busy Bee Kids Crafts incorporated a tree and leaves. 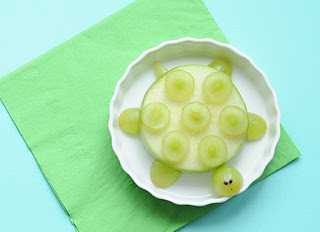 Look at this cute apple core from the blog Crunchy & Green. 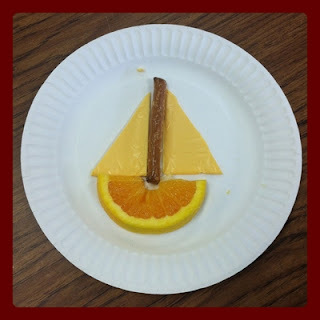 Click here for a fun felt story board idea that incorporates simple math. 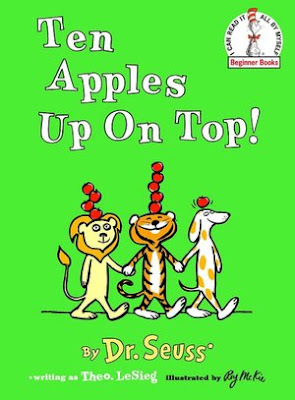 Click the video to hear "Ten Apples up on Top" being read by some adorable sounding children with an English accent. 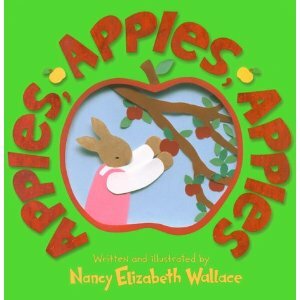 "Apples, Apples, Apples" is such a cute book and I love the bonuses the author included at the end! On a day perfect for apple picking, the bunny family heads to Long Hill Orchard. Mr. Miller takes them to the trees on his wobbly farm wagon and tells them all sorts of fun facts about fall's favorite fruit. Nancy Elizabeth Wallace has painstakingly glued in place simple cut-paper shapes to give her illustrations their bold colors and three-dimensional quality. 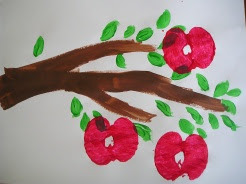 Her story includes a recipe, an apple-print project, apple sayings, and an apple song for parents and children to share. 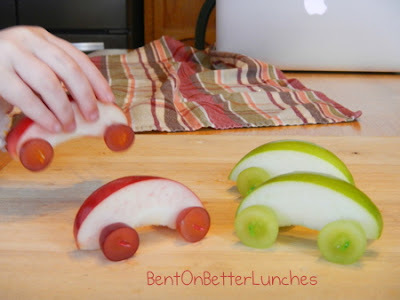 Apple Cars?! Some people are so creative! The kids will love this one. Click here for lots of great songs and poems about apples. 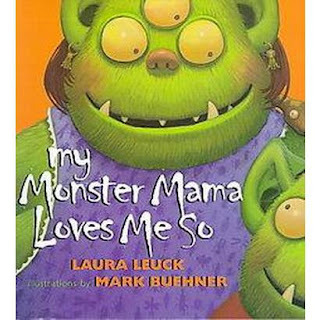 This guy reminds me of a cross between Sulley and Mike from, "Monsters Inc."
Math Monsters from Little Learners... learning is so fun! 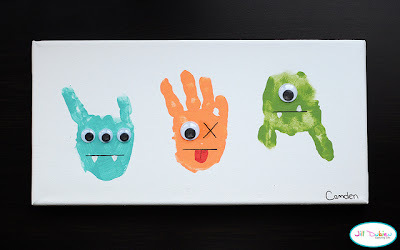 Handprint monsters from Meet the Dubiens. Ha! I love these! 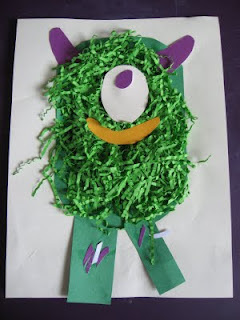 A great paper craft to go along with the book, "Go Away Big Green Monster!" 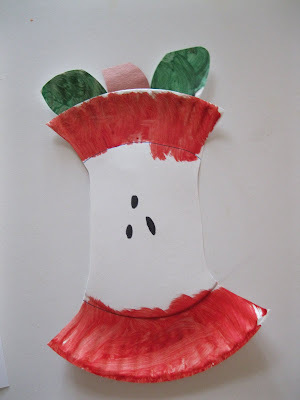 from Preschool Crafts for Kids. Felt Monster from Little Learners. I think it would be great to have standard shapes pre-cut so you can have a little lesson on shapes too! More activities to go along with "Go Away Big Green Monster!" can be found here. 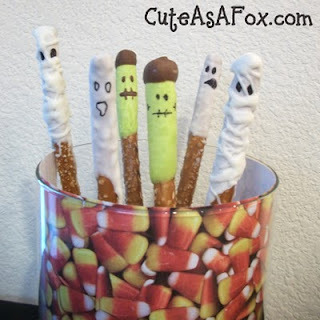 Monster Pretzel Rods from Cute as a Fox. Lots of great monster songs and poems found here. moose by tracing and gluing a foot and two hands. 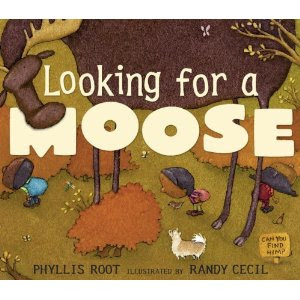 Go on a moose hunt and look around your house (or yard) for a hidden moose after you read the book. 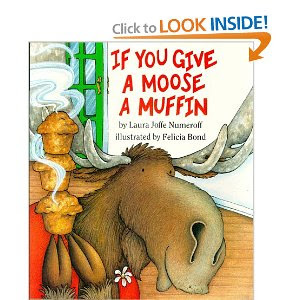 "If You Give a Moose a Muffin" is such fun! 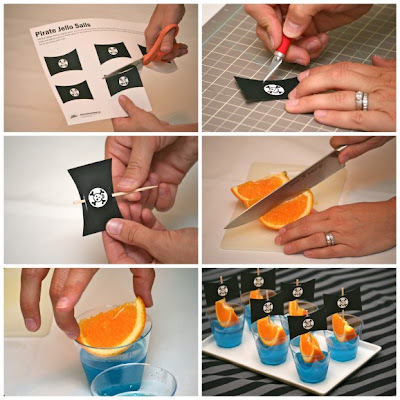 Click here for lots of clever ideas to go along with it! "To Die for Blueberry Muffins"
For a fun Moose song click here. Watch as twin baby moose and their mama play in the sprinkler! Hello. My name is Meshan. Nuts About Letters is where I write letters...lots and lots of letters. I also talk about the things I'm 'nuts' about. Welcome.